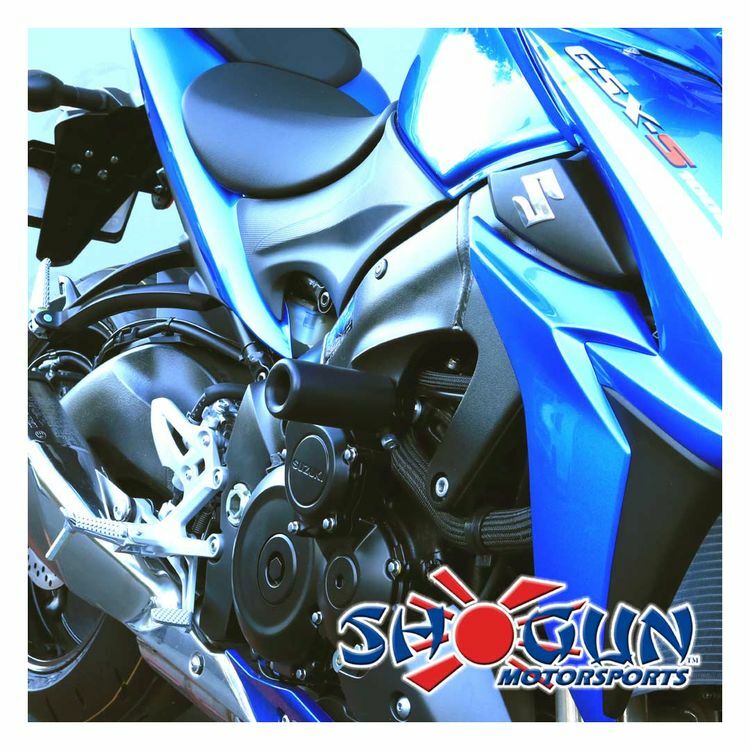 Installing a Shogun Protection Kit is a great way to protect your motorcycle investment. 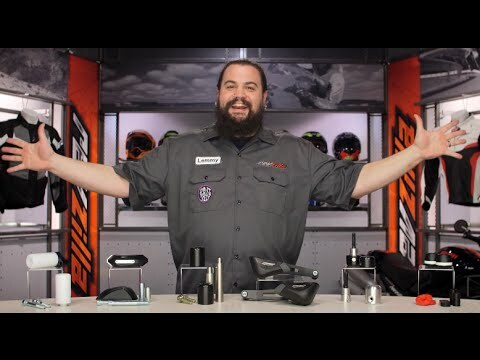 Each kit includes matching swingarm spools, bar end sliders and frame sliders. All Shogun slider pucks are CNC-machined out of a shatter-proof, abrasion-resistant and UV resistant polymer. This polymer has been race proven to keep your bike sliding and dispersing energy in the event of a crash. The frame slider and spool pucks feature a press fitted aluminum bushing that reduces the chance of the puck tearing off of its mounting points. Every single Shogun Protection Kits includes high tensile strength and corrosion resistant hardware that puts them ahead of the competition. For kits with off-set brackets, Shogun machines them all from military aircraft grade aluminum with a black anodized finish.